The strap line for 2012 was ‘Inspire a Generation’, and with the advent of the Rio Games a new chapter in Olympic history is being written – now is the time to both look back and forward , and reach a considered verdict about how far that promise has been delivered. 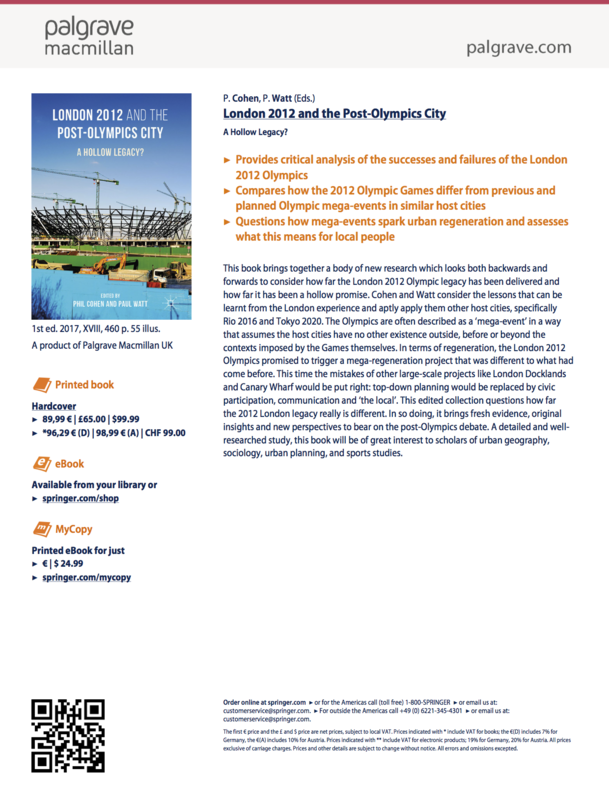 The London 2012 Olympics are widely seen as a success story. In the referendum debate the Brexiteers made much of a moment in which the nation came together to surmount its internal divisions and triumphantly stood on its own feet to show its best face to the world. Even if the moment did not last long, there is still an official optimism that 2012 will provide a lasting legacy of benefits to the host communities of East London. As always there is a counter-narrative, in which 2012 is the same old Olympic story of broken promises and tarnished dreams. 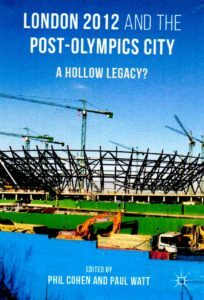 This book puts in question these formulaic evaluations and the assumption about sport, regeneration and the city which underlie them. 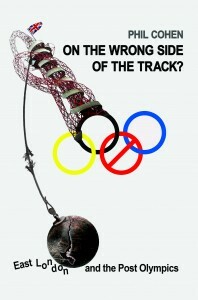 It brings fresh evidence, original insights and new perspectives to bear on the Post Olympic debate. And it looks forwards from Rio to the Tokyo Olympics as well as back at London 2012. Our contributors represent a broad spectrum of opinion and the book is inter-disciplinary in scope. 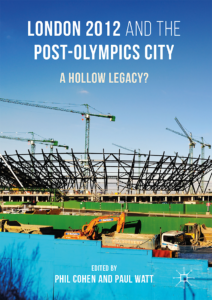 It will be of interest not only to academics, students and practitioners in the fields of Olympics and mega-events studies, urban regeneration, planning, and community action, but to anyone concerned with the future development of our cities and the fate of those who live on its margins. Contributors : Grace Gonazez Basunto, Penny Bernstock, Ian Brittain, Jon Coaffee, Phil Cohen, Jack Fawbert, Pete Fussey, Anthony Gunter, David Howe, Debbie Humphry, Shane Kerr, Isaac Marrero-Guillamon, Leonardo Mataruna, Gavin Poynter, Paul Watt, Francesca Weber-Newth, Mike Weed . 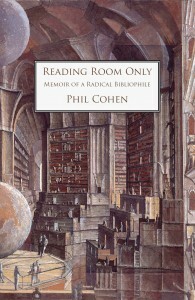 Phil Cohen is Emeritus Professor in Cultural Studies at the University of East London and Research Fellow at the Young Foundation. He is author of the widely acclaimed On the Wrong Side of the Track: East London and the Post Olympics (Lawrence and Wishart 2013). 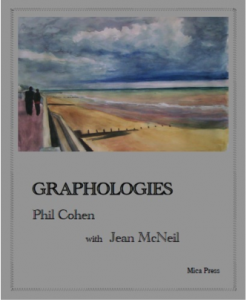 Other recent books include Reading Room Only:memoir of a Radical Bibliophile (Five Leaves 2013) and Graphologies (Mica Press 2014). Material Dreams:maps and territories in the un/making of modernity is forthcoming from Palgrave. 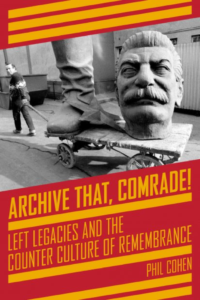 Paul Watt is a Reader in Urban Studies at Birkbeck, University of London.. In addition to undertaking research (with Jackie Kennelly) on the 2012 Olympic Games and deprived East London youth, his areas of interest include social rental housing, urban regeneration, the post-industrial working class, suburbia and suburbanization. Paul is co-author (with Tim Butler) of Understanding Social Inequality (Sage, 2007) and co-edited Mobilities and Neighbourhood Belonging in Cities (Palgrave 2014).